I have mentioned lots of times on the blog that I really love crisp white walls. I am typically attracted to the airy and bright feel that white gives a room. Recently though, after painting my dining room pink (see it here), I have been so into stronger wall color. Currently, I have been obsessing over super dark greys. I know this color isn’t exactly bright, but it still brings an entirely different element to a room. I love its boldness, but at the same time this color still provides a cozy and calming effect to a space. I also cannot get enough of how metallics like copper and gold just pop so vividly when placed against a dark grey backdrop. I have decided to actually paint my spare bedroom a dark grey. I went with Farrow & Ball’s Down Pipe and also the color Plummett was another favorite of mine. 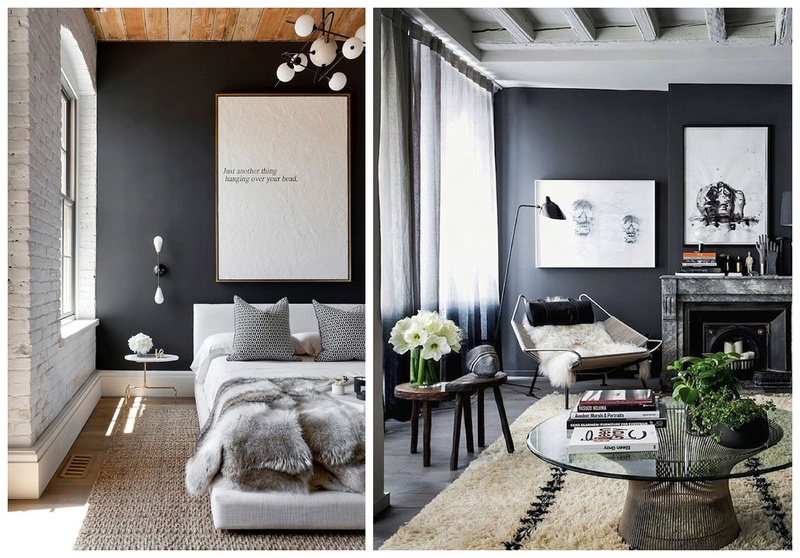 Today I am sharing some of my dark grey wall inspiration with you in case you are feeling the need (like me) to get dark and moody with your decor this winter. 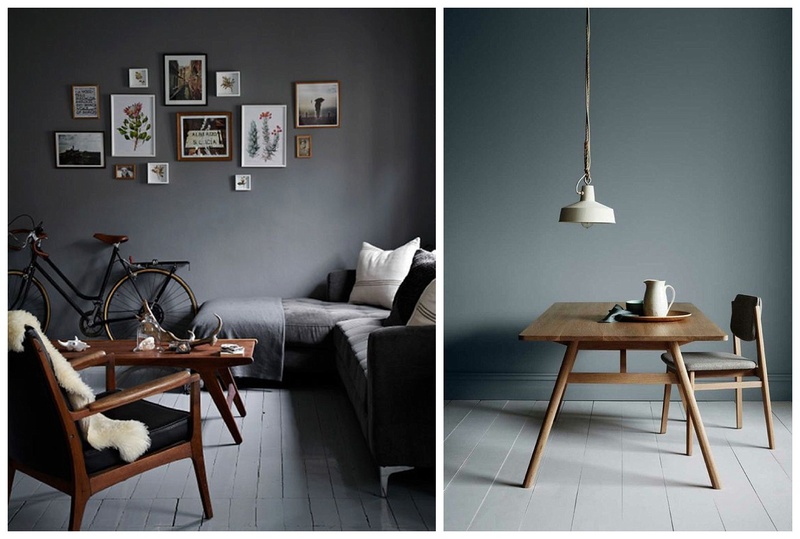 Here are 5 ways to rock dark grey walls this winter! Bold Neutrals – If you are on the fence about adding a strong grey hue, just keep your room decor all neutral in color. As grey is part of the neutral family anyway, the room will remain calming and simple, while still providing a pop of boldness on the walls! Metallic Accents – Dark grey walls provide the perfect backdrop for metallic accents. 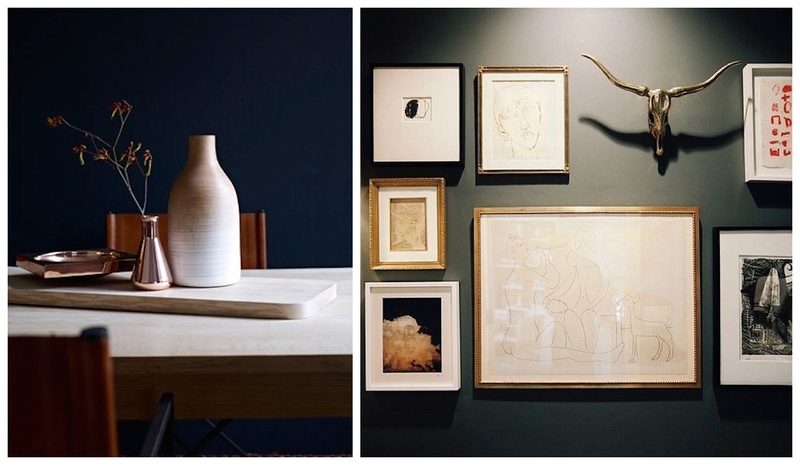 The combination of gold or copper with this moody wall color is basically perfection! 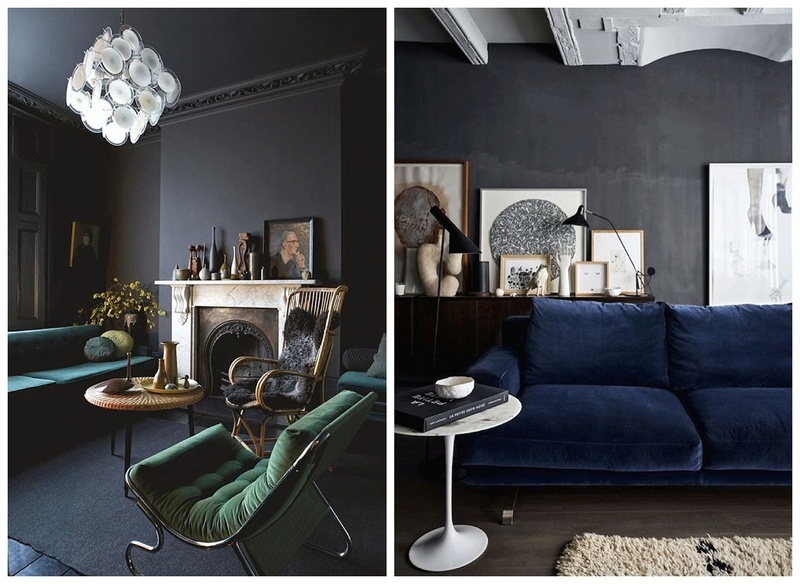 Moody Velvets – As winter is pretty much here… adding jewel toned velvet furniture to dark grey walls will create such a stunning yet cozy space. This combination is a show stopper for sure! 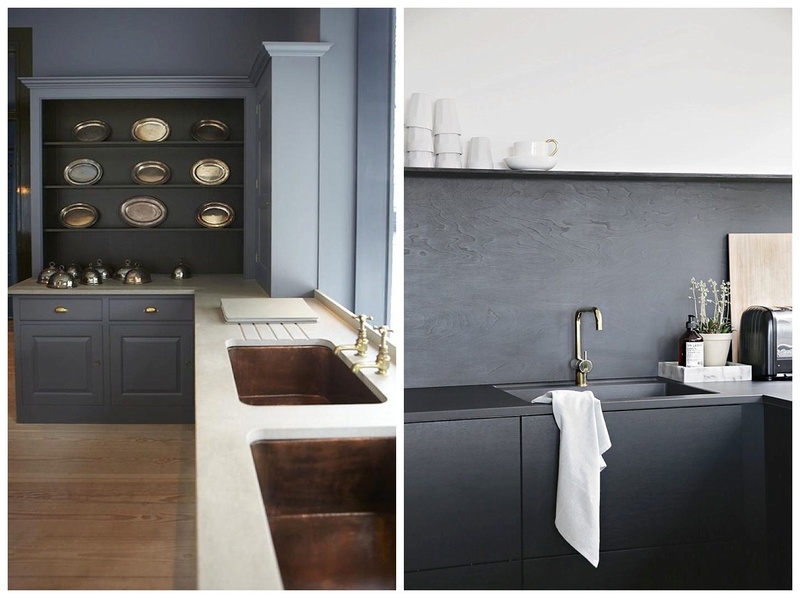 Sophisticated Kitchen – I always love a bright clean kitchen but check out these kitchens with darker grey tones. Such a classic yet chic alternative to white cabinetry. Wooden Furniture – Of all of the beautiful styles to add to grey walls, wood furniture is probably my favorite. Adding this natural element provides the most beautiful color combination as well a classic take on effortless cool.